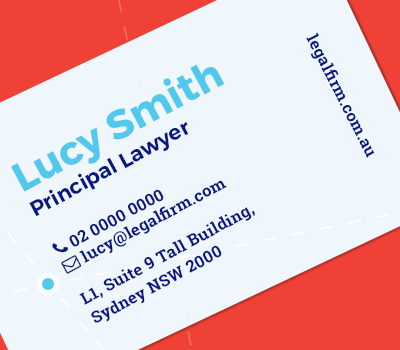 We work with law firms, tightening it all up and reigning it all back into one definitive brand style guide. Print is such a powerful medium in not only promoting your firm’s practice areas but as well as onboarding new clients. We are working with plenty of law firms at present who are now ensuring synergy across every marketing touch-point, including print. As they should, because if your law firm is serious about creating an awesome client experience, it needs to happen from start to finish and print plays an important role. We see it so often. As a law firm evolves and grows, so too does its array of brand and marketing collateral, resulting in a pile of various antiquated corporate collateral incarnations (letterheads, brochures, business cards etc). What’s worse, is that we often see law firms delegate the clean up, and dare we say it, the design of the new material to administrative staff. It invariably ends in a very big mess. At Fast Firms, we care a lot about corporate collateral. Sure, we’re in a digital age, but we consistently see great results from those law firms who are client-centric and see the potency of print collateral interspersed smartly during the client journey.